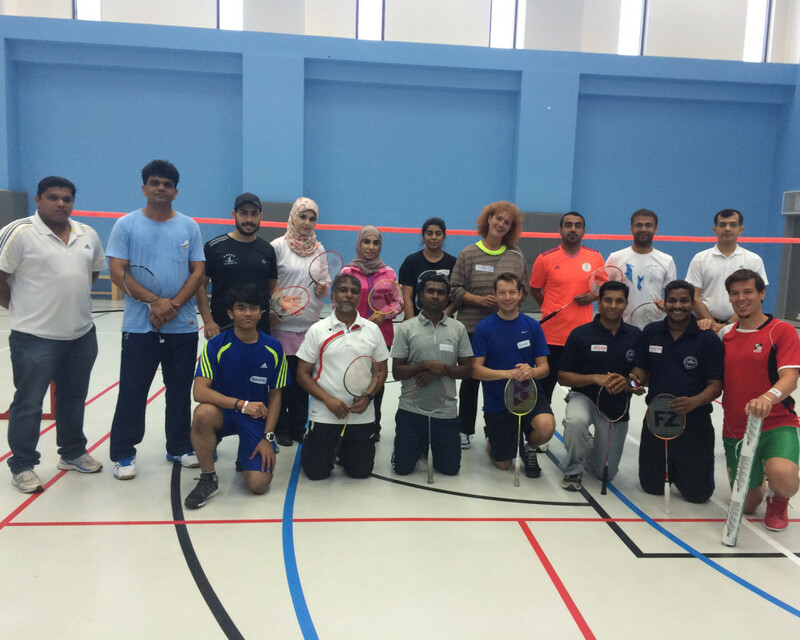 A one day Badminton instructor course was held at the GUtech sports hall recently. “We had a total of 14 participants from different educational institutions in Oman. Badminton is one of the most popular indoor and outdoor games in Oman. The course was conducted by our Badminton coach Roland Brunner, who is a certified Badminton trainer from Italy and a shuttle time tutor, who is currently working for six months in our Sports Office” said Gunhild Pfaff, Manager of the GUtech Sports office. The game is a racquet game that is usually played single or double. “The course aimed to present a badminton teaching concept which focuses on simple games building up badminton skills. Fun and independent and experimental learning is the key method. The participants were given teaching moduls for smaller and larger groups. At high levels of play, the badminton demands very good fitness, aerobic stamina, agility, strength, speed as well as precision,” said Roland Brunner who has been teaching Badminton for many years in Austria, Germany and Italy. Physical education teachers and sports instructors from different Institutes such as the Ministry of Education, Sultan Qaboos University, Majan College, American British Academy (ABA), Indian School Al Gubra, Indian School Al Wadi Al Kabir, Pakistan School Muscat and four staff and student members badminton from GUtech participated. All participants received certificates at the end of the one day course.